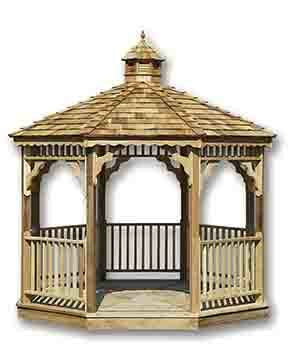 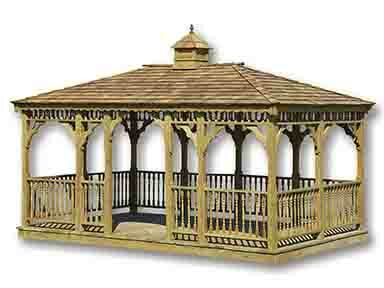 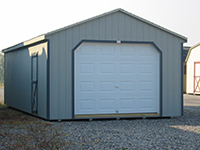 The Carriage Workshop has an A-Frame roof line capping spacious 90" walls. 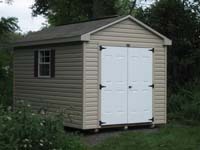 Taller walls provide this Garden Shed with extra space for the larger projects or additional storage shelves. 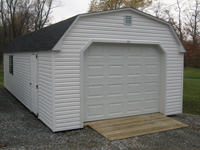 A Carriage Workshop Shed makes a great place to get out of the house and work on that project undisturbed. 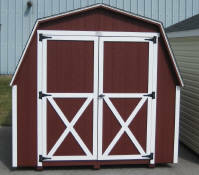 Carriage Workshop Storage Sheds include a double door, and one window.